Introducing the stunning Sutton Round Double Ended Acrylic Bath with Panels from Victorian Plumbing. This stylish and practical bath is manufactured from acrylic for a tough, durable finish that is sure to last. 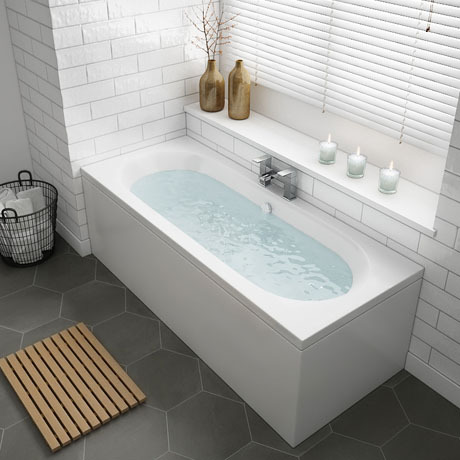 If you have a bathroom which has a more contemporary edge, the Sutton bath is an ideal choice due to its minimalist, modern design. Supplied with front and end bath panels and leg set, this double ended bath is available in 3 sizes to suit your requirements. Please be aware that any tap holes have to be drilled by the customer.